Like so many countries throughout the world Britain has its own unique set of landmarks that make it stand out from the global crowd and make it instantly recognisable to a great many people. Tourists flock from all over the globe to look at these landmarks and also to soak up the atmosphere on one of the Western world’s most interesting countries. Here we look at some of those landmarks. 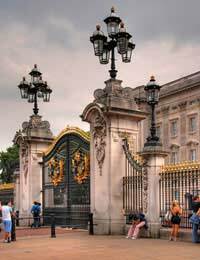 As most people will know Buckingham Palace is the official residence of Her Majesty Queen Elizabeth II and the royal family. Complete with 775 rooms the palace is also designed to be the hub of the royal family and its staff who also have offices there so they may conduct their daily business. The palace is open to the public during the months of August and September during which time visitors may take in the breathtaking artwork on display in the State rooms. This artwork includes pieces by the likes of Rembrandt and Vermeer. George III purchased Buckingham Palace in 1761 and in 1762 – at a cost of £73000 the building was remodelled. It remains one of – if not the most – exhilarating and beautiful pieces of architecture in the United Kingdom. Tower Bridge was opened in 1894 after being constructed over the previous eight years. The need for the bridge was to provide another means of crossing the River Thames as at that time London Bridge was the only bridge that spanned the river. In total 50 designs were submitted before a final choice was made and the bridge – designed by John Wolfe Barry and the City of London Architect Horace Jones – was chosen. In total around 11,000 tonnes of steel framework were used to construct the bridge and some 430+ construction workers worked on it solidly for eight years. The main feature of this bridge is the fact that it rises; it is what is known as a Bascule bridge. Bascule is French for see-saw and the bridge is able to draw upwards to allow oversized river traffic to pass through. In 1912 a Biplane pilot was required to fly his aircraft between the raised sections of the bridge to avoid a collision. To this day the bridge is one of London’s – and indeed Britain’s – most recognisable landmarks. Perhaps one of the more controversial landmarks in Great Britain, the Angel of the North stands proud with its huge wings outstretched, welcoming visitors from all over the globe. This 208 ton five storey high sculpture is made from weather resistant steel has a wing span of 54 metres; that’s the equivalent to the wingspan of a jumbo jet. Towering above the A1 motorway at Gateshead it is estimated that some 90,000 motorists see the angel every day as users of the East Coast mainline will also see it as they travel towards Newcastle on the London to Edinburgh service. The Angel itself is hollow and has a door on the shoulder that can be used for internal inspections. The angel, concrete pillars 22 metres deep holding it in place, is designed to last more than 100 years and to withstand winds in excess of 100 miles an hour. Many of the locals may consider it to be a monumental waste of money but no one who visits can help but be struck by its overwhelming sense of presence. You can find out more information about these landmarks and many more of the Great British landmarks to visit by visiting your local tourist information office or by going online. If you are from abroad and visiting for the first time you will not fail to be enthralled by the beauty and engineering skill that has gone in to the building and design of British landmarks. Likewise if you are British and just want to spread your wings without going abroad, you could find your holiday destinations at home harder to choose from. @mae. Great to hear the site has been useful for you. Enjoy learning about Great Britain. I am only in year 6 and we are learning about great Britain!